2017-18 Champions League finalists Liverpool have got a massive midfield signing done. Reds boss Jurgen Klopp has shown his intent at this early stage, and is thus rewarded. 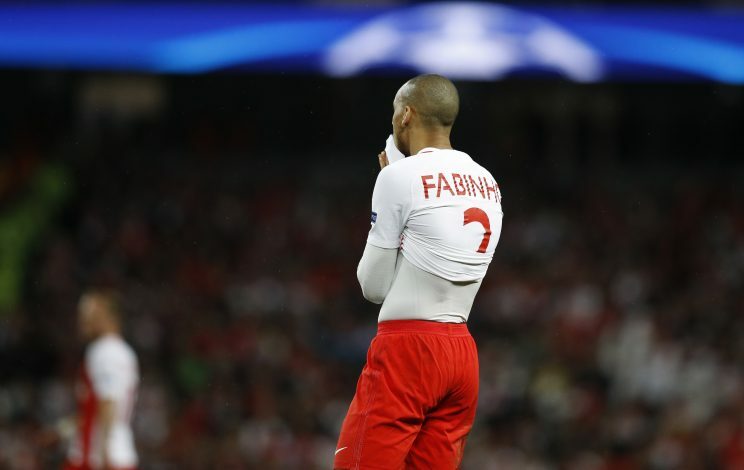 The Premier League giants have agreed to sign Monaco midfielder Fabinho in a deal that could be worth more than £40 million. The Brazil international, 24, was also on the list of United’s midfield transfer targets. The initial deal is around £39m, but there will be an addition of £4m related to performance-related bonus payments. The talented midfielder made 230 appearances for Monaco after being at the club for five seasons. The player stated that the size of the Merseyside club was monumental, and he could not say no. The Brazilian, who had helped Monaco to the Ligue 1 title in 2016-17, is set to replace Emre Can. The German international is expected to leave Anfield for Italian champions Juventus. Earlier, it was reported that the midfielder rejected a new contract and was a target of Juve for a long period of time. Liverpool are going to have a new-look midfield in the upcoming season. They had already signed Naby Keita earlier, and now talks are said to be ongoing over a deal for Lyon’s Nabil Fekir. The Frenchman is expected to cost the Reds a staggering £53m, with a move that is set to be completed after the 2018 FIFA World Cup. With a midfield that will consist of Keita, Fabinho, and Fekir, one can expect Klopp’s side to have a real go at major titles next season.